Christmas is a great time of the year, and a lot of gifts are exchanged; especially since the following day is 'Boxing' day - traditionally regarded for exchange of gifts in beautiful boxes. Some people can be dramatic, preferring to do things elaborately, especially when it comes to giving gifts. However, a lot of people do not always have the best taste and can end up sticking you with a dress size too big or a shoe that pinches in all the wrong places. Rather than throwing them away, you can tactfully transfer these 'unwanted' items to a new user in a rewarding way. This article puts together a list of tips to help you achieve this. If the gift is not homemade, a hand-me-down or an old family heirloom, chances are you may fetch some money for your unwanted gift on certain sites online. All you need to do is upload the details and photos to one of the many online marketplaces now present, such as TripleClicks, Kaymu, Efiritin, and OLX. Before posting your sale, ensure you do your research, that way you are sure to ask for a reasonable price . The unfortunate thing about gifts is that most of the givers take out the price tag and receipt so there is a very slim chance of returning it to the store and asking for refund. However, the good thing is that you can always re-gift it. It is not an unfair thing to do, you are only being practical. At some point in the future, you are bound to get an invite to an impromptu birthday or wedding, and those unwanted gifts become true gems. It is important to remember who gifted you with the present in the first place, that way you do not run the risk of re-gifting the person with the item they gave you in the first place. There is always someone who has a need but cannot afford that item you do not want. 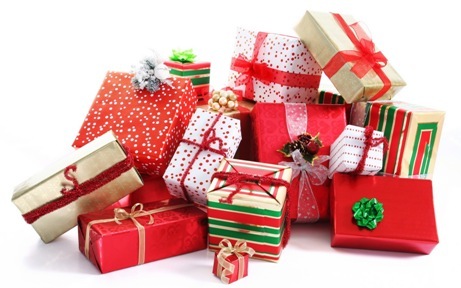 Whatever your reasons for not wanting to keep Christmas presents, you can put them to good use by donating it to charity. This way, you can make a real difference in another person’s life. From orphanages, foster homes and homes for the disabled to charity shops, there are so many places that will gladly receive clean clothes, shoes, home ware, books, and antiques. The joy that comes from this kind of giving is priceless. It may not be very common but swap parties are held in different areas and countries of the world throughout the year. Friends connect in a group and exchange possessions over a couple of drinks. They set certain guidelines and everyone benefits from it in the long run. Stay alert on Instagram or Twitter for such opportunities or arrange one on your own. Pick a venue, invite friends, make the rules easy (just to ensure one person does not run off with all the good stuff) and start swapping. The good thing about life is that almost everything can be used in different ways or modified into something entirely new – depending on the user’s perspective. For instance, a toothbrush that is too tiny or too soft can be used for the hair (edge control), and a wrapper can be remodeled into a lovely flare skirt or party dress. Rather than just tossing things aside, use your imagination to transform the gift into something much more brilliant and useful to you. That way, you cut out the guilt that comes with knowing you rejected a friend’s gift and spare the giver the agony of finding out later on that his or her gift was unused. Finally, there is no need to toss away any gift you do not want this Christmas. Every gift, no matter how 'useless' you feel it is, can be very useful and will be most useful if you follow any or all of the suggestions above. Remeber, there are many ways you can transform gifts you do not want this Christmas. Merry Christmas folks!